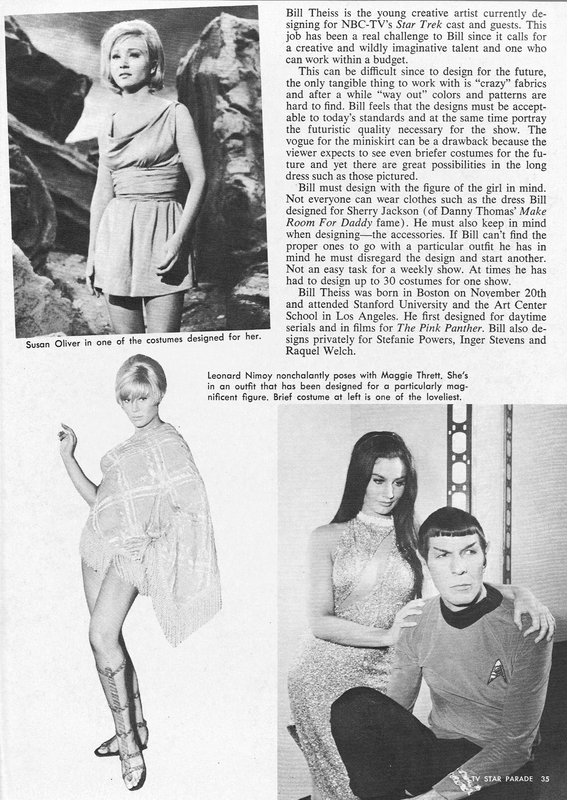 Here’s a great tidbit: A brief article in The Australian Women’s Weekly from August of 1970 — Star Trek begins global syndication and a star is born! The writer was impressed with Mr. Spock most! The National Nine Network’s new science-fiction series takes viewers into deep space. 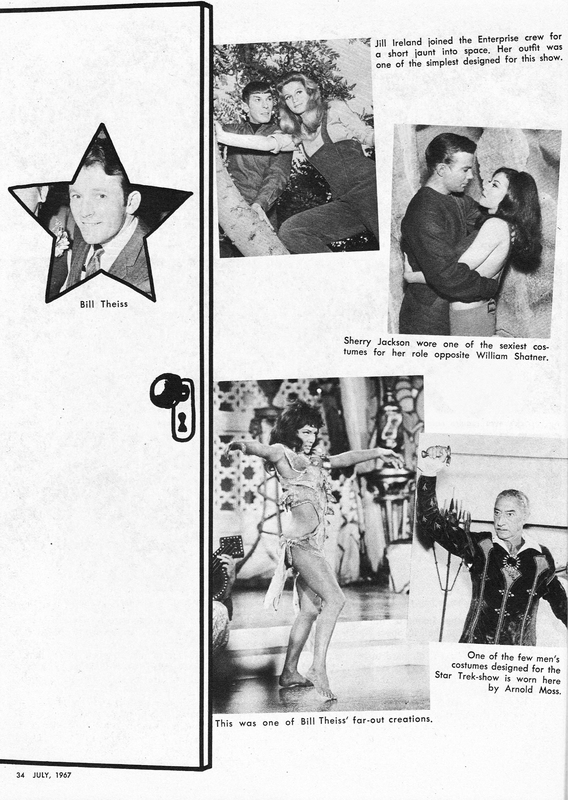 “Star Trek may be seen in Sydney on TC429 Thursdays, 8:30 p.m. in other capital cities later. 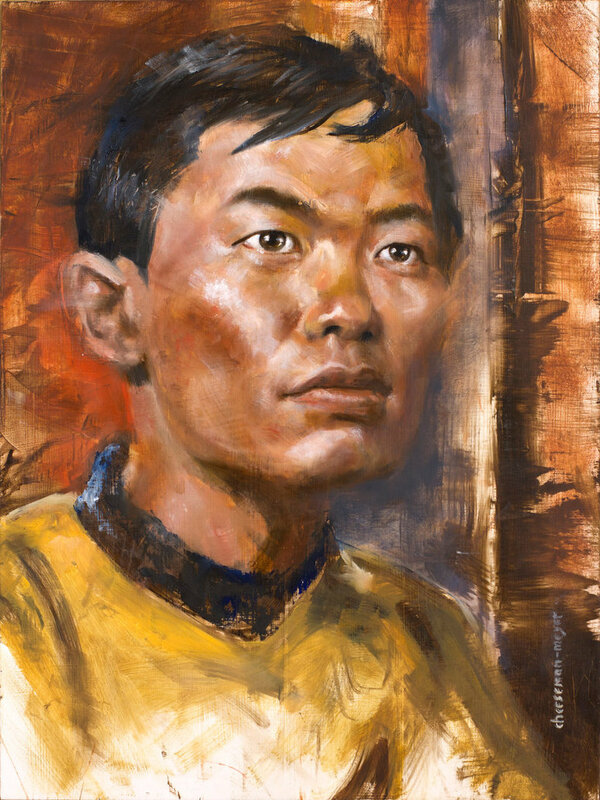 For this (and next) week’s fan art, I’ve found some wonderfully rich portraits of the TOS cast by artist Jason Cheeseman Mayer (jason cm) on DeviantArt. This week we have Sulu and Uhura. I love the poses he chose and how beautiful he makes the eyes. More next week! Here’s today’s flashback: From TV Star Parade in July of 1967 comes this great look into the costume and make-up workings of the original series. Love the Spock make-up sessions, promotional photos, and of course the ever-incredible drapings of William Ware Theiss. It was Theiss’s designs that inspired me to study costume design in college, a skill I still use today on my homemade dolls. 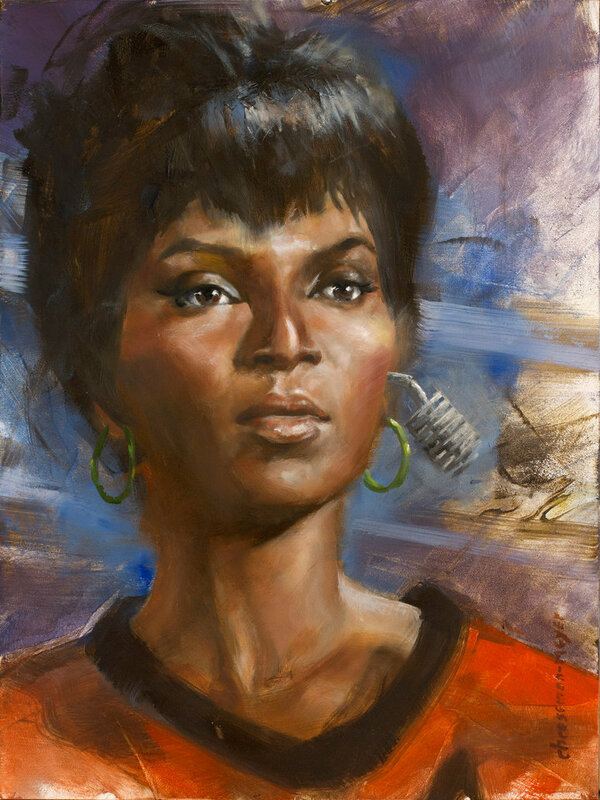 To see more of Theiss’s great Trek work, click here. 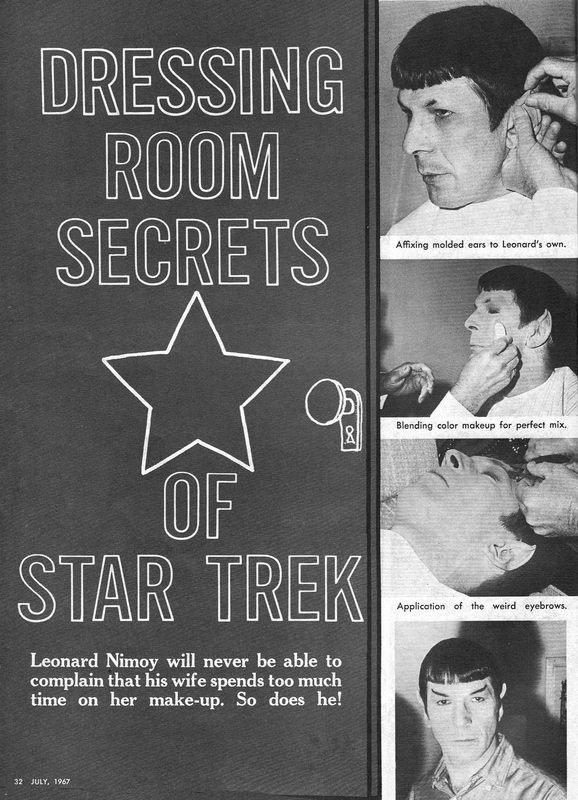 And look how much of Nimoy’s eyebrows were shaved off! No wonder he hid behind horn rimmed glasses off screen!